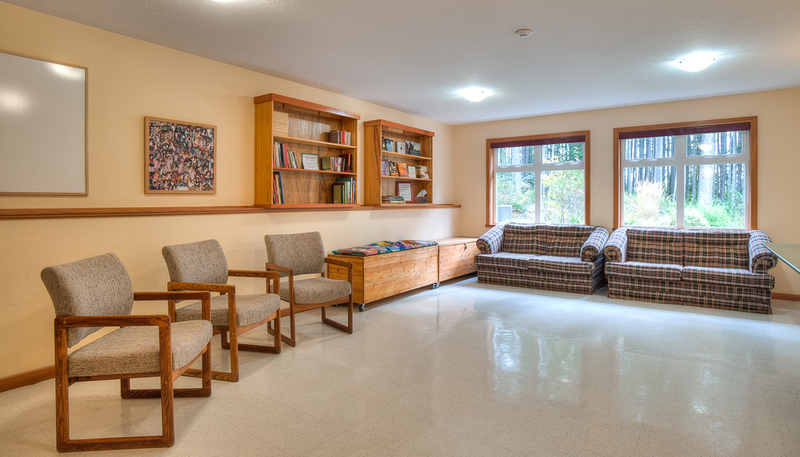 The Quadra Island Community Centre is a warm and inviting, multifunctional facility. Situated in beautiful Blenkin Park it is surrounded by a network of lush forested walking and biking trails, ball fields, a horse riding ring, tennis courts, a skate board park, a ball court, a BMX bike jump park, and is adjacent to the Quadra Island Children's Centre. If you are interested in renting any of the spaces at the Community Centre please fill out and submit the request form at the bottom of this page. Scroll down to check out all the Community Centre has to offer! Perfect for concerts, screenings, plays, weddings and more. 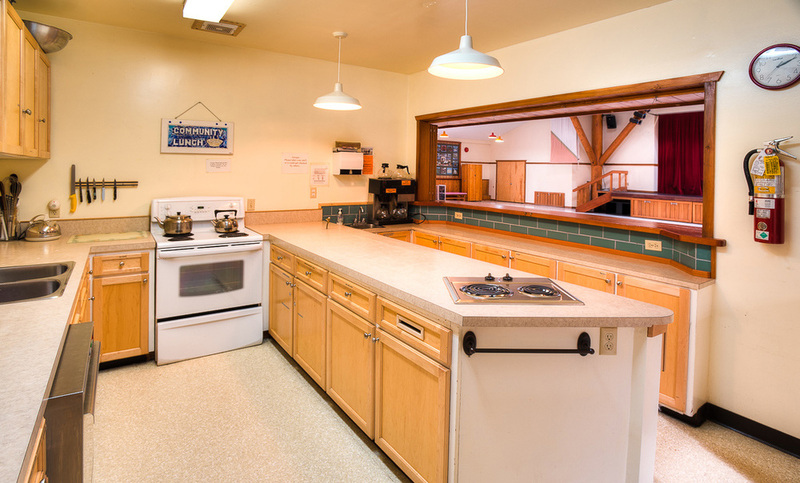 The kitchen is located at the back side of the Main Hall. The kitchen comes fully equipped with an electric stove, commercial dishwasher, fridge, all dishes / cooking utensils and has ample counter prep space. A great size for workshops, meetings, small groups, clinics, classes and is equipped with small kitchenette and a literacy book lending library. Also know as "the board room", this room offers a bright comfortable space in which to hold meetings, Chess Club, and small classes. 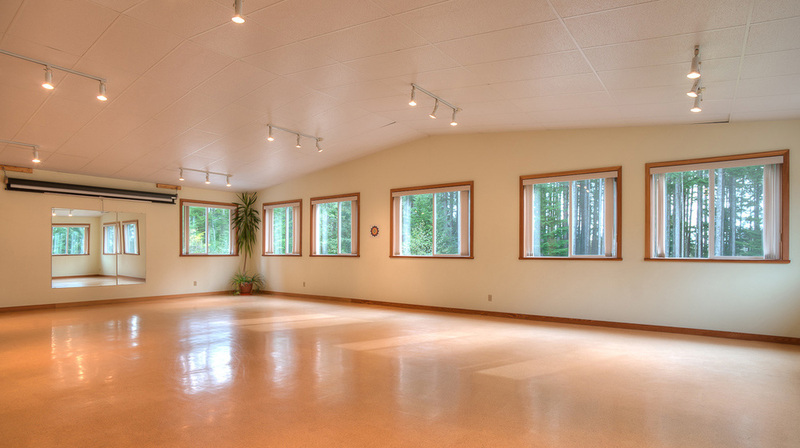 A bright expansive space ideal for yoga classes, fitness classes, dance classes, art classes, singing groups, small screenings, clubs, larger meetings and so much more. Room 3 comes equipped with tables and chairs as well as a kitchenette. Outdoor Court great for playing bike polo, basket ball, floor hockey and more.